Diamond Details: Round brilliant cut white diamonds of F color, VS2 clarity and excellent cut and brilliance, weighing 4.15 carats total. Back Details: Posts and omega clips. Measurements: Approximately 18.5mm x 14mm. 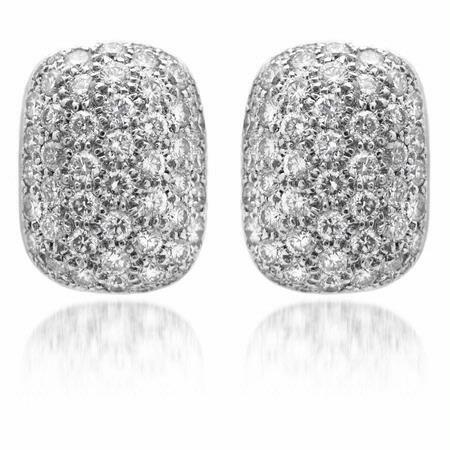 This incomparable pair of Italian designed, 18k white gold earrings scintillates with round brilliant cut white diamonds of F color, VS2 clarity and excellent cut and brilliance, weighing 4.15 carats total. 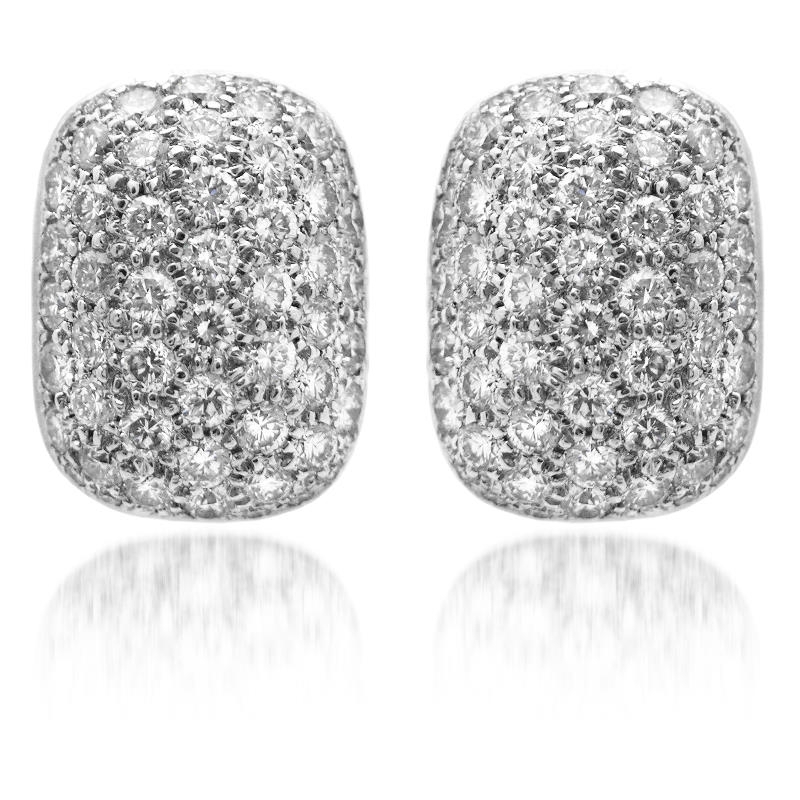 Exquisite masterpieces to accent your expression. 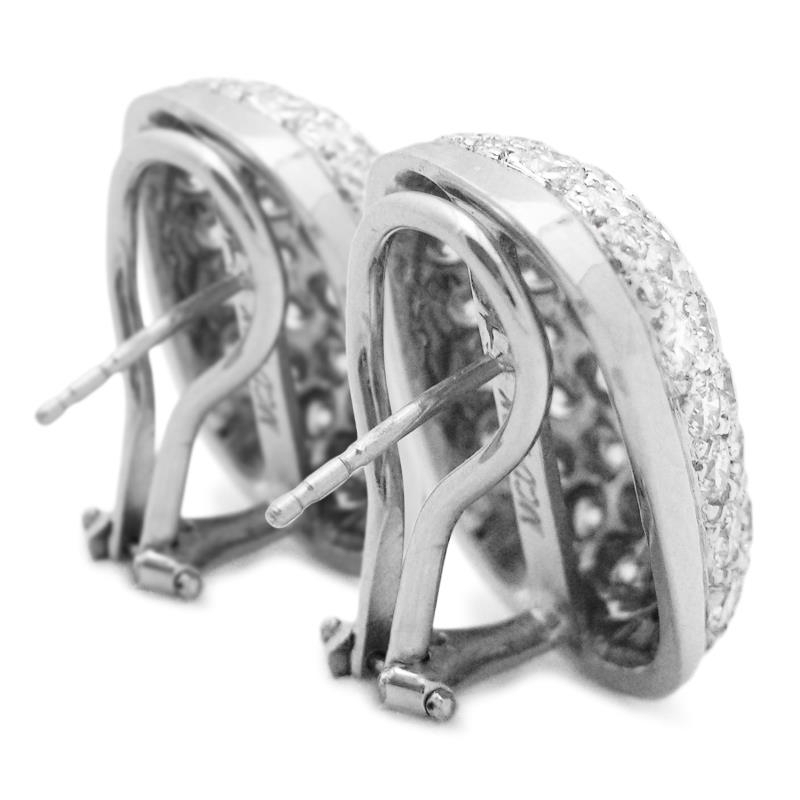 These diamond earrings are affixed with posts and omega clips, and are handcrafted to measure approximately 18.5mm x 14mm.